In many cases where conductivity level probes and controls have failed Waterline Controls is the preferred solution. 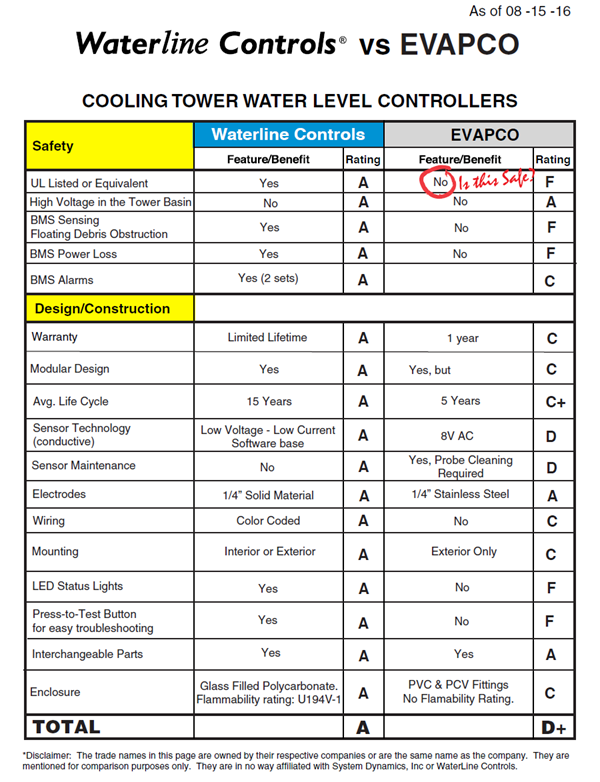 We have many Waterline Controls Level Control System on Evapco Cooling Towers worldwide. Waterline Controls uses a sensing technology that does not transmit power between the level sensor probes eliminating any potential for fouling, deterioration or pitting no matter how poor the water condition is in the environment. More and more Facility Managers, Engineers and OEM Manufacturers have turned to Waterline Controls for their solution. Our 5 Year Limited Replacement Guarantee is unmatched in the industry. 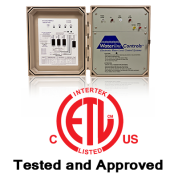 Call Waterline Controls and Never replace a level controller again! Disclaimer: The trade names in this page are owned by their respective companies or are the same name as the company. They are mentioned for comparison purposes only. They are in no way affiliated with System Dynamics, Inc or WaterLine Controls. Call us if you want more details on why we are different!